It is a common view that radical contextualism about linguistic meaning is incompatible with a compositional explanation of linguistic comprehension. Recently, some philosophers of language have proposed theories of ‘pragmatic’ compositionality challenging this assumption. This paper takes a close look at a prominent proposal of this kind due to François Recanati. The objective is to give a plausible formulation of the view. The major results are threefold. First, a basic distinction that contextualists make between mandatory and optional pragmatic processes needs to be revised. Second, the pragmatic theory can with stand a Davidsonian objection only by rejecting the importance of a distinction between primitive and non-primitive semantic items. 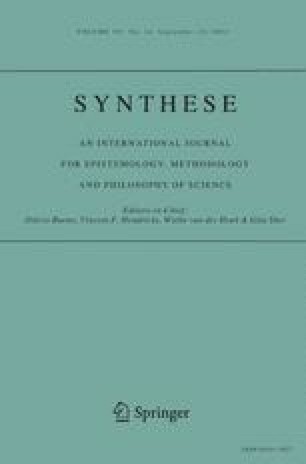 Thirdly, however, the theory is now open to a worry about how it should be understood: either the theory consists in a very broad functionalist generalization about communication, which makes it explanatorily inert, or it boils down to a highly particularist view about linguistic meaning. Finally, I argue that Recanati’s notion of ‘occasion meaning’ is problematic and suggest replacing it with the notion of speaker meaning, which is explanatorily more basic. [Funes] invented a numbering system original with himself [...]. Instead of seven thousand thirteen (7013), he would say, for instance, ‘Máximo Pérez’; instead of seven thousand fourteen (7014), ‘the railroad’; other numbers were ‘Luis Melián Lafinur,’ ‘Olimar,’ ‘sulfur,’ ‘clubs,’ ‘the whale,’ ‘gas,’ ‘a stewpot,’ ‘Napoleon,’ ‘Agustín de Vedia.’ [...] I tried to explain to Funes that his rhapsody of unconnected words was exactly the opposite of a number system. [...] Funes either could not or would not understand me. I want to thank Daniel Harris, Stephen Neale, Ben Phillips, Guillermo Del Pinal, participants in the 9th BPPA Masterclass with Recanati in London in 2011, and many anonymous referees, for for all their comments and discussions. Special thanks to François Recanati for helpful conversations and for his comments on an early version of the paper. Bradley, D. (2012). Functionalism and the independence problems. Noûs. doi: 10.1111/nous.12007.